Upon reaching Exalted with the Honorbound faction, you are free to visit the allied races embassy in Orgrimmar and take a quest from Eitrigg. He and Sylvanas will talk for a while about how Draenor orcs owe the Horde for liberating them from the Burning Legion and Gul’dan. Question is: don’t they owe as much to the Alliance? Oh well. 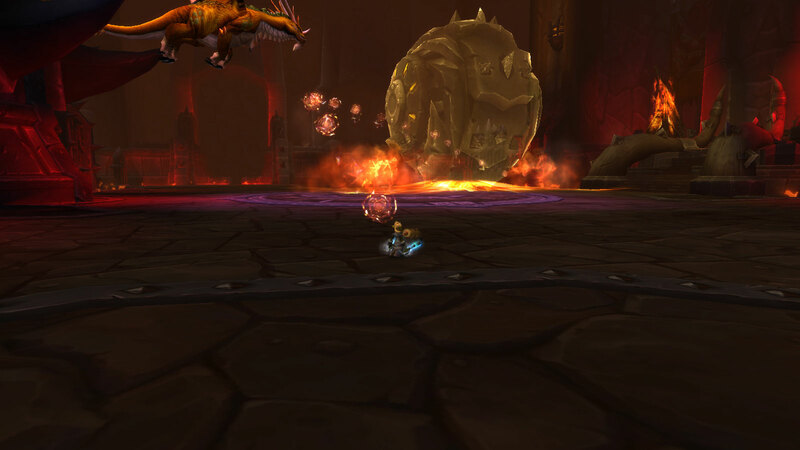 So, the portal AND the time-hole to Draenor was closed when we left. 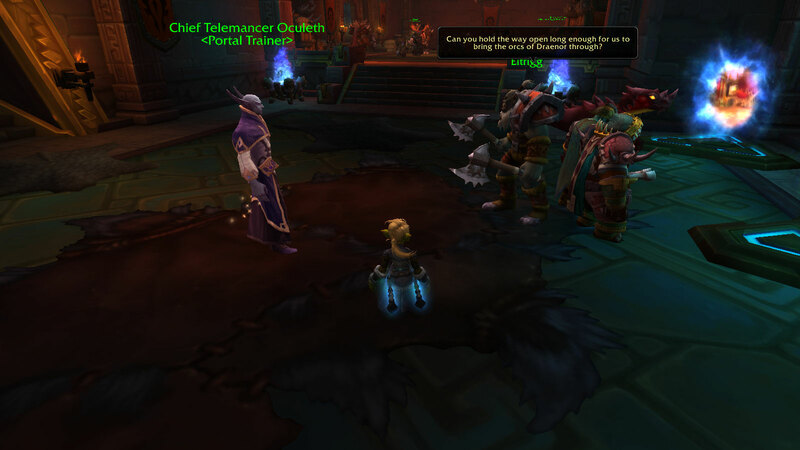 Eitrigg gives us a shard of Garrosh/Kairozdormu amulet which let them sneak to alternate Draenor and then open the portal to modern Azeroth back in WoD. We are being sent to the Great Seal to meet Oculeth for help. Oculeth states that only Elisande was aware of these time magics, and she’s obviously dead, so we need the bronze dragons help. The fight is brutal. 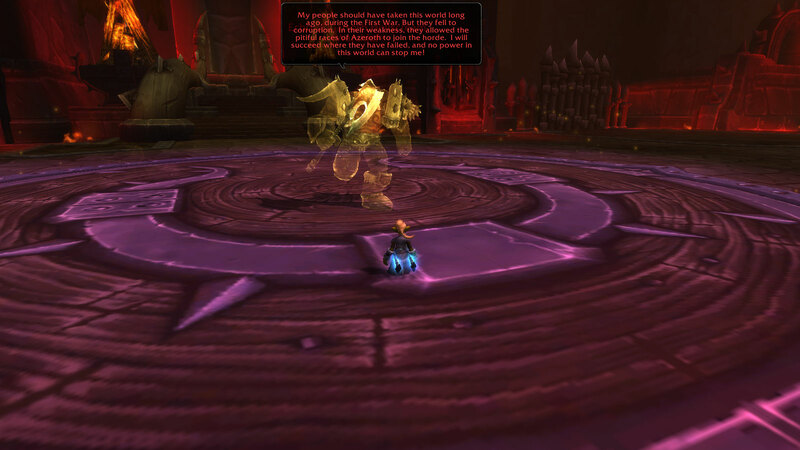 Gul’dan stays in one place, and you may die if not interrupting and avoiding his fel magic attacks. The next stop is Pandaria and the Temple of White Tiger. 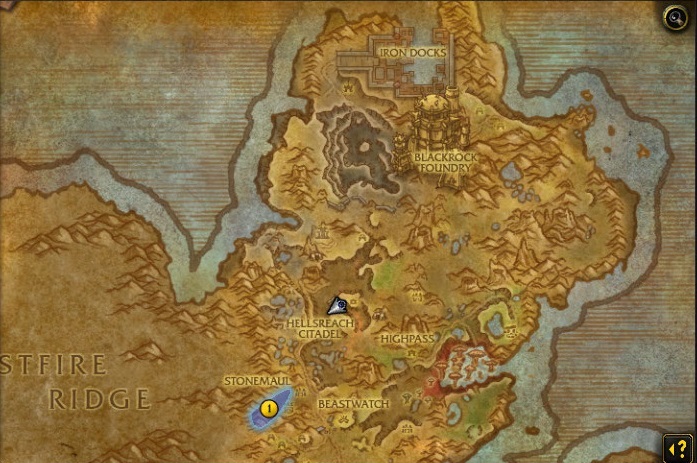 This is where we meet an echo of Warlord Zaela who liberated Garrosh from trial in this very place, and later claimed Blackrock Spire with an invasion Iron Horde force. This encounter is quite easy, nothing really dangerous happened. The final stop is outskirts of Orgrimmar, where Anachronos sends us to (now sealed) seat of Garrosh from Siege of Orgrimmar. An echo of Garrosh fights with nasty whirlwind from time to time, and also launches deadly iron stars (copies from the raid encounter) which are to be avoided. Finally, Anachronos approves the usage of amulet and sends us back to Oculeth in Zuldazar. 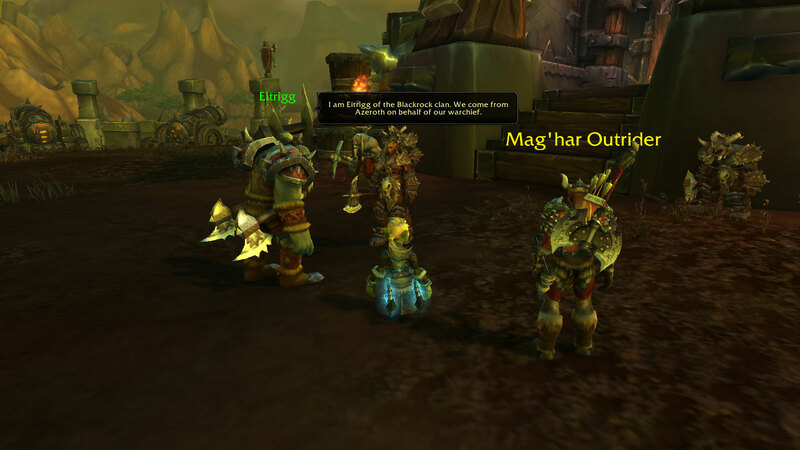 A small talk by the Great Seal, and the hero and Eitrigg travel together to alternate Draenor. 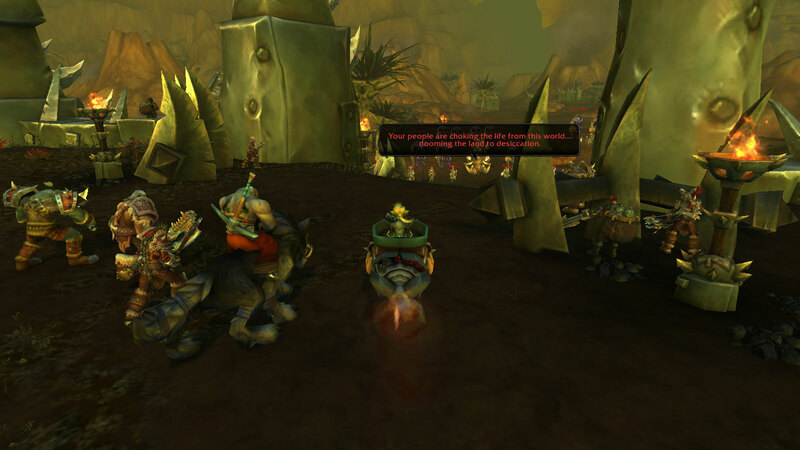 We arrive in Gorgrond to approach and be immediately trapped and chained by wolf riders. Presumed to be spies of the Lightbound (who? No answer yet), we are dragged to the brand new Hellsreach stronghold of the Mag’har. Overlord Geya’rah, a harsh young girl, meets us. She was not born at the time the Azeroth heroes arrived, so she’s quite suspicious. 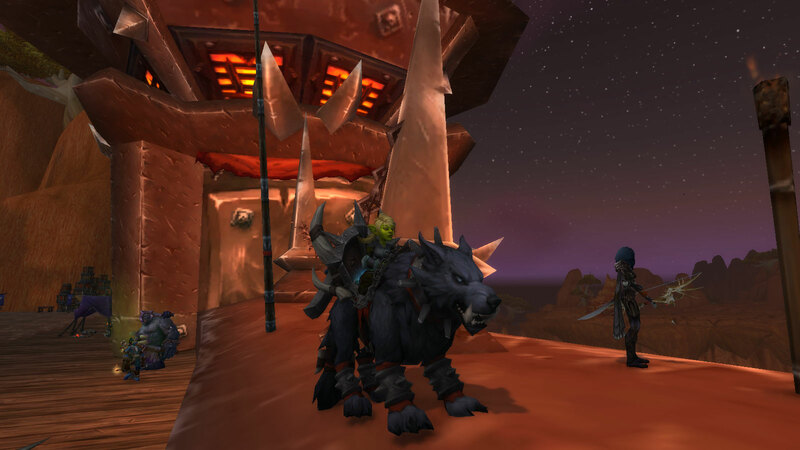 To prove ourselves, she urges us to name and describe the clan banners: Blackrock, Frostwolves and Warsong. Then arrives Grommash Hellscream, now a stooping and gray-haired old orc. 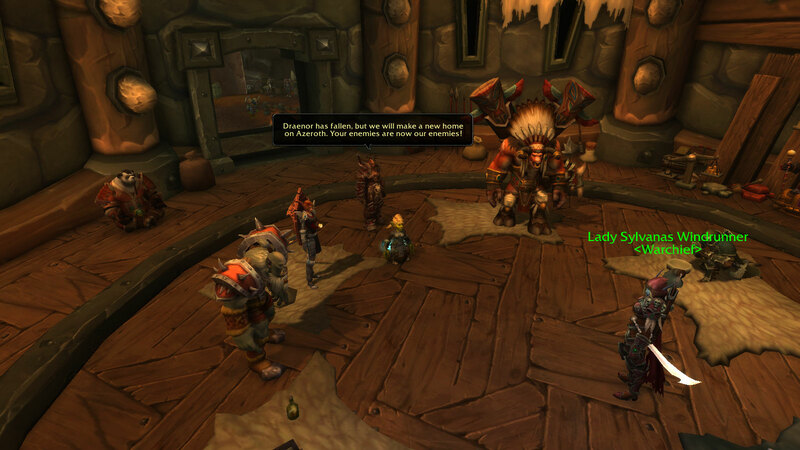 He is more friendly, and we are given a task to prove ourselves to Geya’rah by helping with a rogue ogre warchief. Apparently the remaining ogres live in peace with orcs, but from time to time a rebel arises. So we head to the Grogrond’s fighting circle and to the cave to deal with him. A shocking truth: there is a full-scale crusade going on in the name of the Light, performed by draenei. Join, or die – that’s the doctrine, and they are fighting at all times. 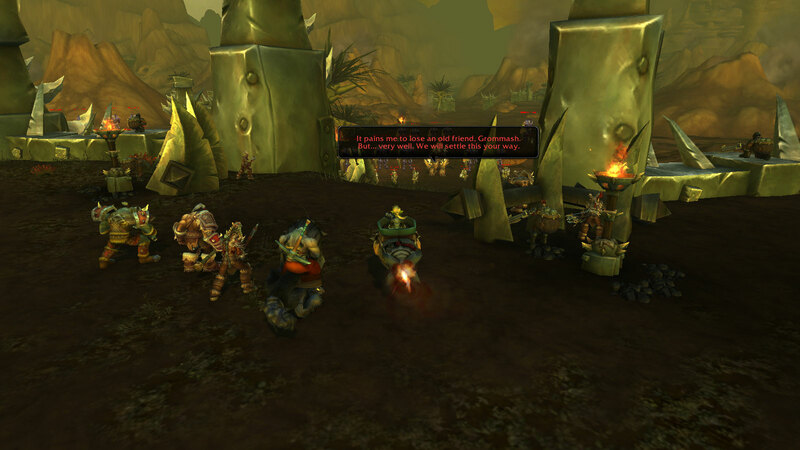 It appears that Draka leads the orcs somewhere in Nagrand, and Durotan perished, trying to fight the Light crusade. 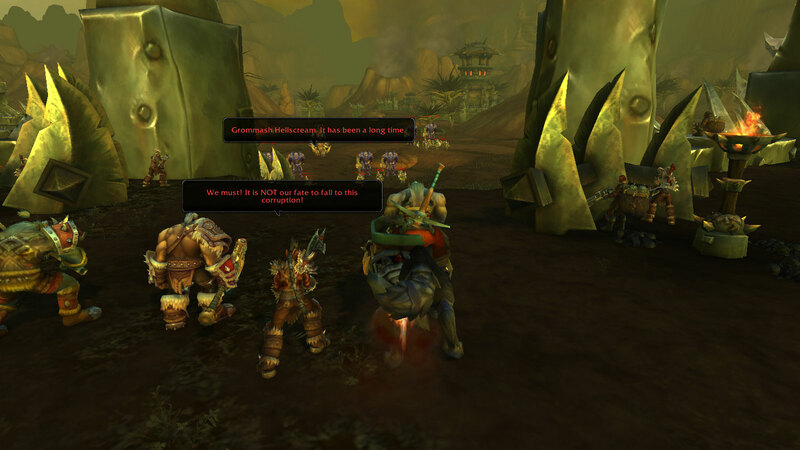 We are back to Garrosh only to be sent to an outpost to repel the draenei attack. We manage to kill their cannons, constructs and a number of force along with their commander. Only to be updated with the shocking message: They are coming. All of them. 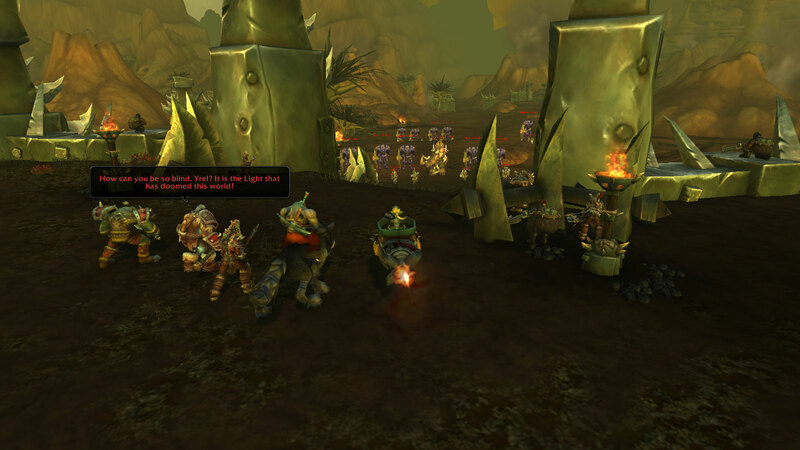 We try to kill the waves of draenei with one of the Iron Horde trademark cannons, and this is not enough. 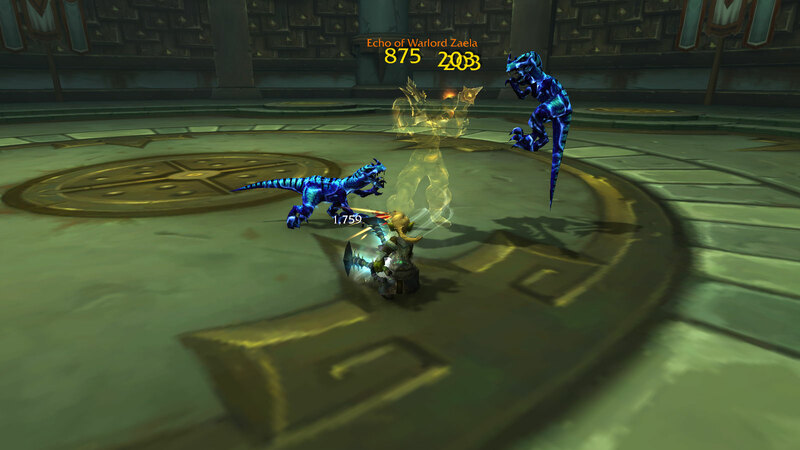 Yrel, our beloved exarch Yrel, is leading the crusade. She gives a brief offer to Grommash: submit to the Light, or die. 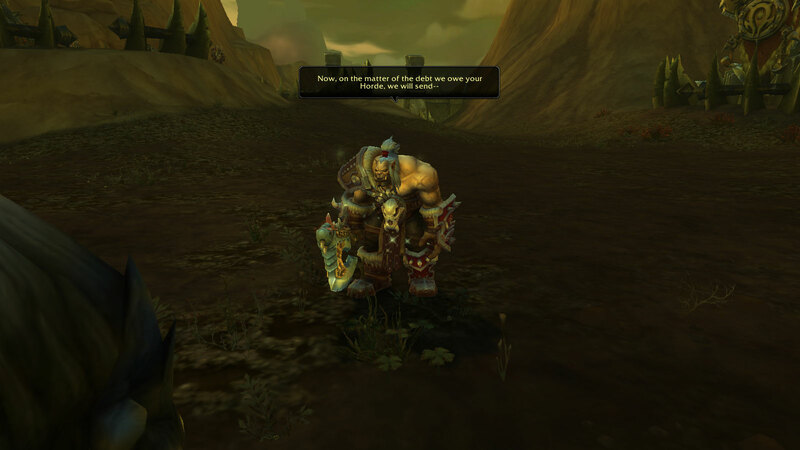 Grommash walks alone to make a final stand, giving the order to Geya’rah to leave without arguing and take all the orcs she could save to Azeroth. Which we do. We do not see the heroic sacrifice. 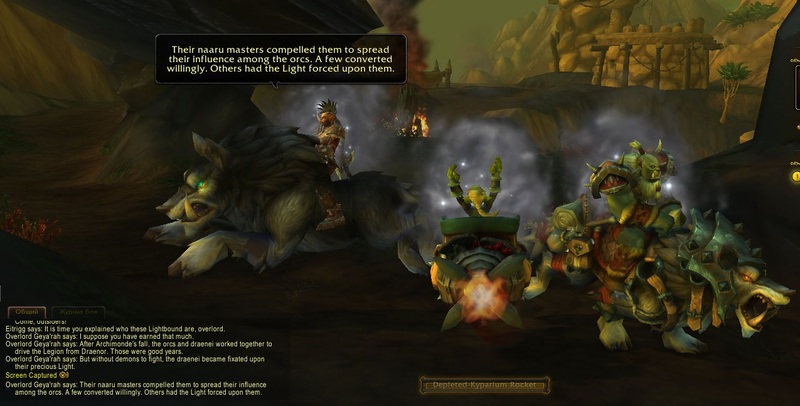 We arrive to the outskirts of Orgrimmar with survivors, and Draenor is lost forever to the cruel, uncompromised Light. There is no joy. There’s fierce loyalty to the Horde who saved the Mag’har again. P.S. I was deeply touched by the storyline. 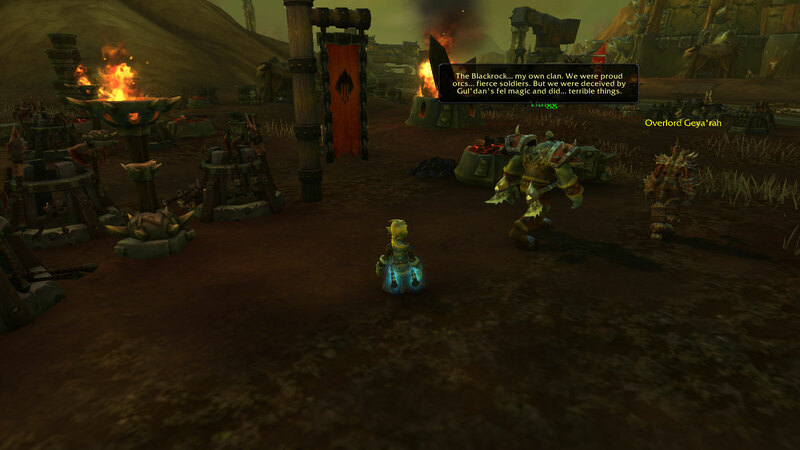 Compared to the entertaining Dark Irons, this is grimdark, and opens the vastest field for questions and speculations. All I can say is I’m hyped as hell to see the evil Light theme in all its brutality – this story was mostly reduced to hints and talks. I’ve never trusted zealots, and to me the Lightforged Draenei were almost the same as demon-corrupted. I’m absolutely positive that we will hear more about it. Cannot wait. Thanks for the tour :) I wonder if one might be able to see these in the game years from now on a Trial Character. I forgot the requirements.